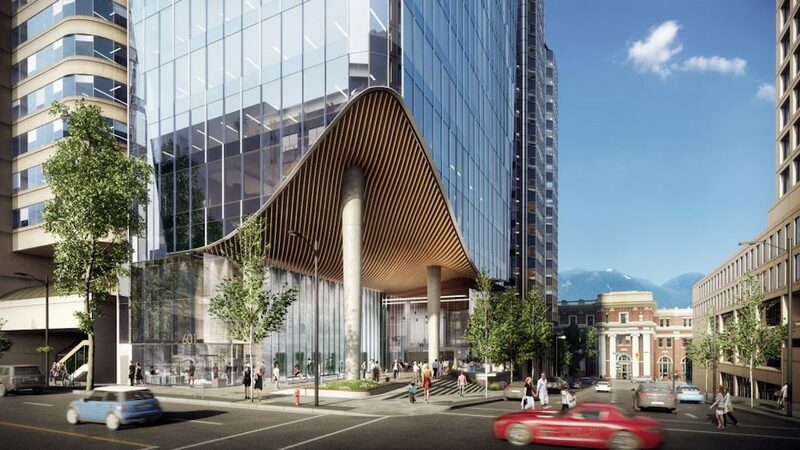 The Grant Thornton Place office tower immediately across from the old CP Station building in downtown Vancouver is getting a makeover. 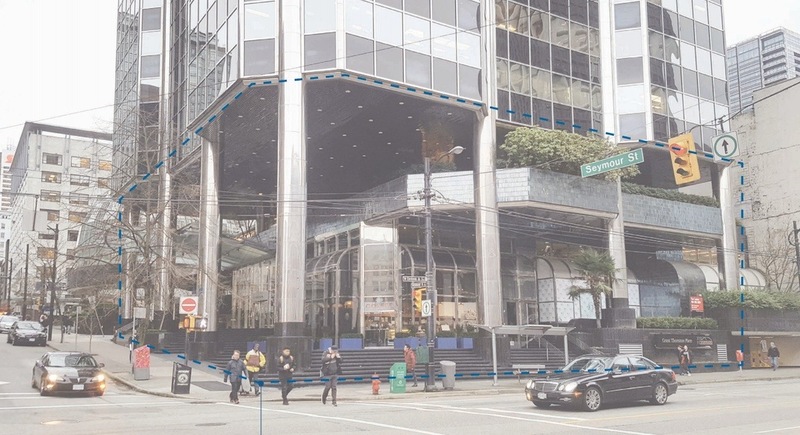 A rezoning application has been submitted by PCI Developments to the City of Vancouver to fill in much of the void space within the overhang of the base of the 1985-built tower at 333 Seymour Street. 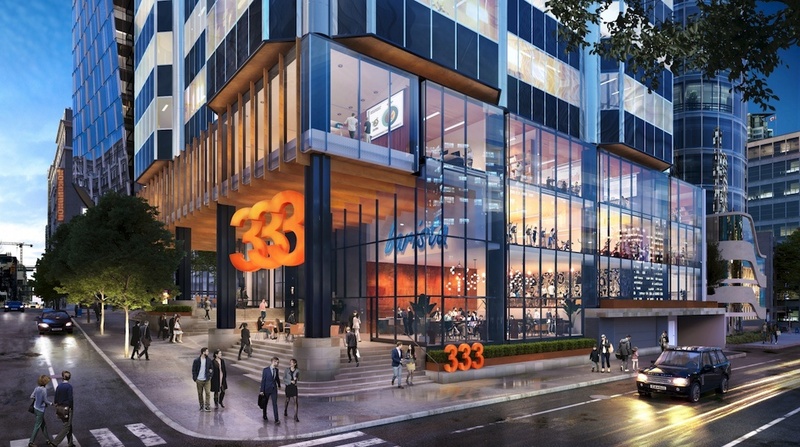 There will be updated fitness amenities – including a 4,200-sq-ft fitness gym – and additional office space on the first and second levels, which will create about 13,000 sq. ft. of new floor area. 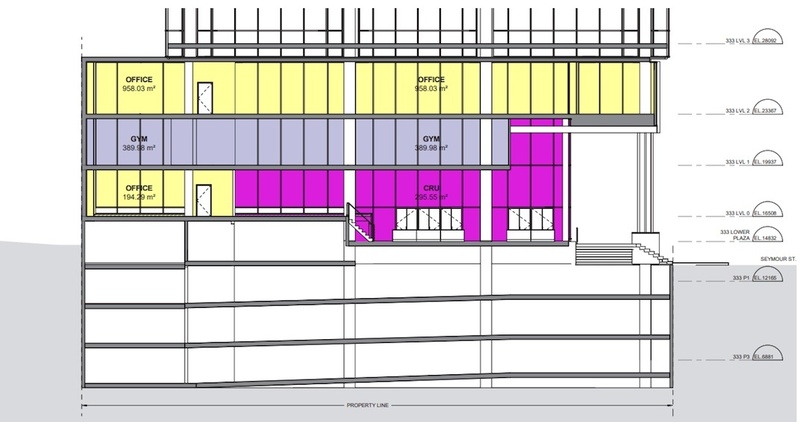 As well, the proposal designed by B+H Architects seeks additional retail and improvements to the public realm at the ground level. Altogether, the changes will increase the property’s floor space ratio density from 11.17 to 11.97 times the size of its lot. 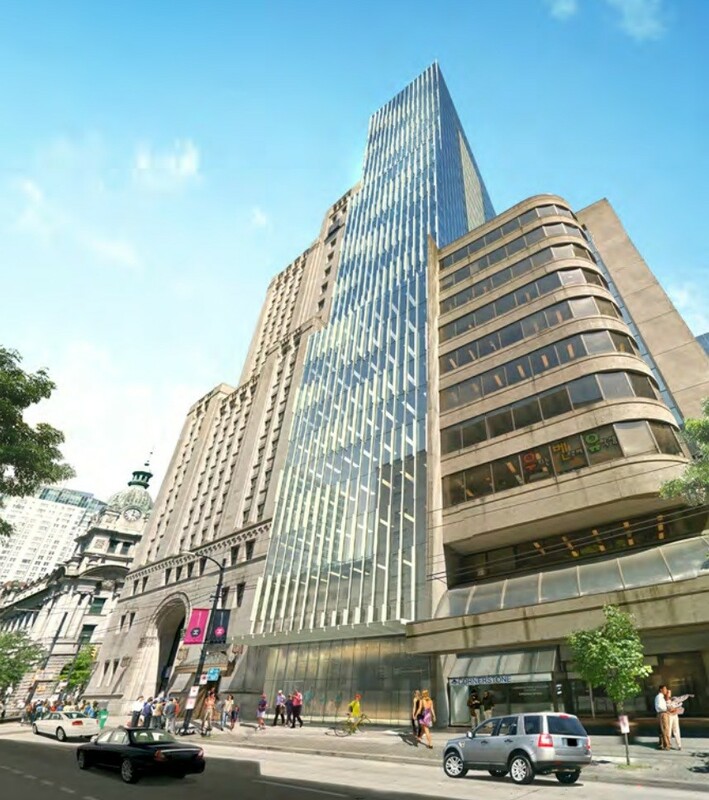 The proposed alterations coincide with a major tenancy changeover in the building, with WeWork opening its third location at Grant Thornton Place early this fall. 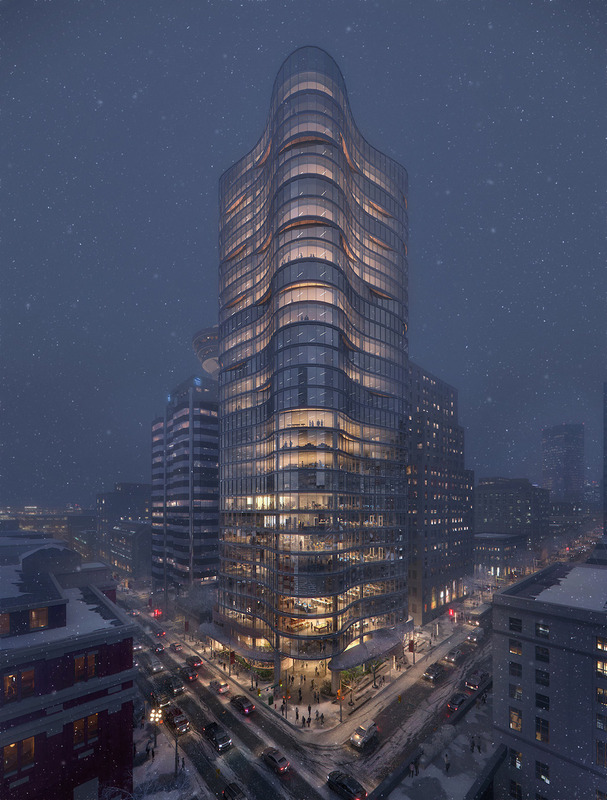 The location will have 1,100 desks. 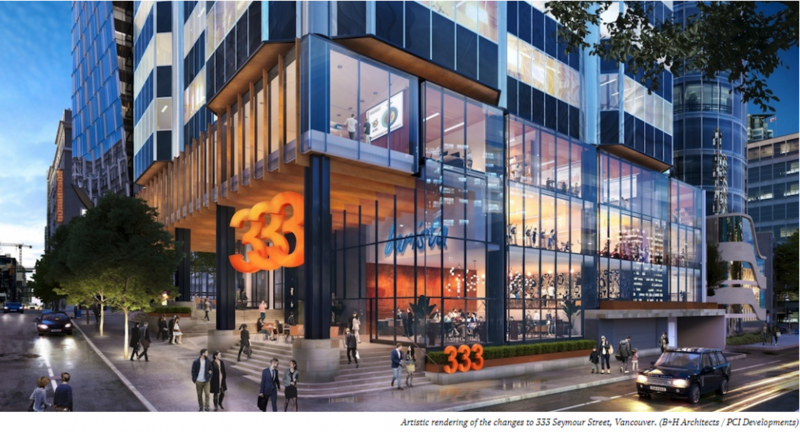 Three office developments are also planned or already underway on the city block; construction is underway on a 25-storey office tower immediately south of Grant Thornton Place on the site of the domed plaza and a 30-storey office tower immediately west of the building on the site of the old parkade. 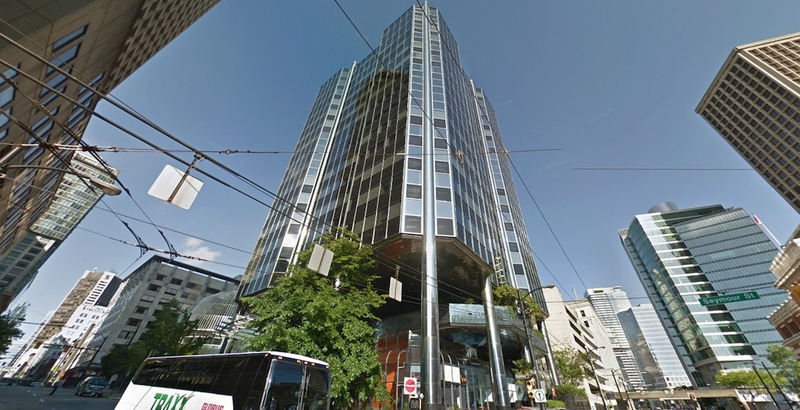 Mid-block on West Pender Street, a 28-storey office tower is proposed for a tight site next to the old RBC Building.